Smoking Jacket Cigars - Buy Premium Cigars Online From 2 Guys Cigars . 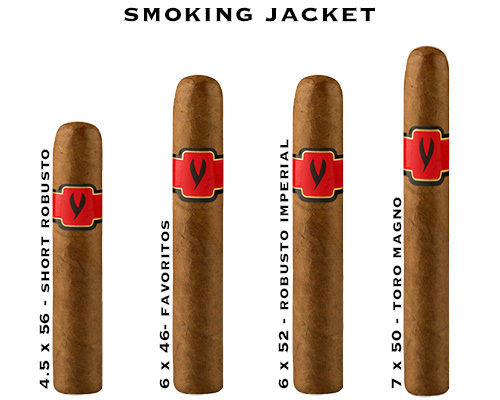 Smoking Jacket is the first release by Hendrik Kelner, Jr. made at the KDF factory in the Dominican Republic. Influenced by his dad Hendrik Sr. who is the genius master blender for the famous Davidoff brand, Kelner Jr has utilized special tobaccos to create something beatiful.